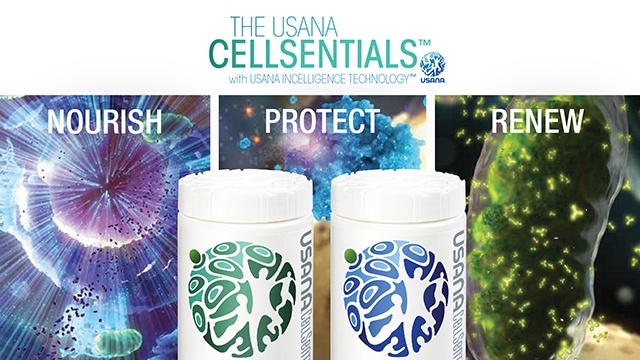 USANA Health Sciences was founded in 1992 by immunologist, Dr. Myron Wentz. His purpose was to produce the highest quality nutritional supplements and health products, without compromise. USANA’s focus on research and development, attention to ingredient selection and adherence to pharmaceutical level manufacturing processes, demonstrates their ongoing commitment to produce products known for both their quality and integrity. Today, USANA products are used by hundreds of thousands of health-conscious individuals from all around the world, including thousands of elite athletes. In addition, USANA products are donated to mal-nourished children, through the long-standing partnership between USANA Health Sciences and the True Health Foundation (http://www.usanafoundation.org). USANA sources and selects only the highest quality ingredients for their products, based on the potency, purity and safety of those ingredients. USANA’s aim is to ensure that all of their products remain safe and can be effectively absorbed by the body. Both the raw ingredients and finished products undergo rigorous testing to ensure that USANA products remain pure and contain no contaminants. That is why both health-conscious individuals and athletes use the products with confidence, knowing that no unwanted substances or contaminants exist in USANA’s products. USANA’s commitment to research and development is evident, with more than 60 scientists around the world actively working with USANA. In addition, USANA collaborates with prominent health institutions to ensure that products are being designed to meet cellular needs, as the health of an individual begins with the health of each individual cell. Research has resulted in award winning products and patented formulas, only present in USANA products. One notable advancement is the recent introduction of USANA InCelligence™, which uses cell signalling to encourage the body’s natural protection mechanisms. Potency, purity and bio-availability are key characteristics of all USANA products. USANA products provide advanced levels of micro-nutrients, which are required to be optimally healthy and USANA guarantees that what is listed on the label is what is inside the bottle. Not only that, USANA’s science-based formulas ensure that each individual tablet contains the optimum balance of each ingredient, enabling products to be absorbed and reach the cells where they are needed. This is often referred to at USANA as cellular nutrition. There are now thousands of elite and professional athletes around the world who trust USANA to provide superior nutritional support. Athletes need to be able to compete at the highest levels, with the confidence that any nutritional products they chose to use do not contain any banned or prohibited substances. USANA are able to provide reassurance to athletes through their athlete guarantee programme.